When it comes to things to do in the Spanish capital you’re simply spoilt for choice. Madrid is a feast for the eyes, brain and belly – there truly is something for everyone whether you’re a foodie, football fan or culture fiend. 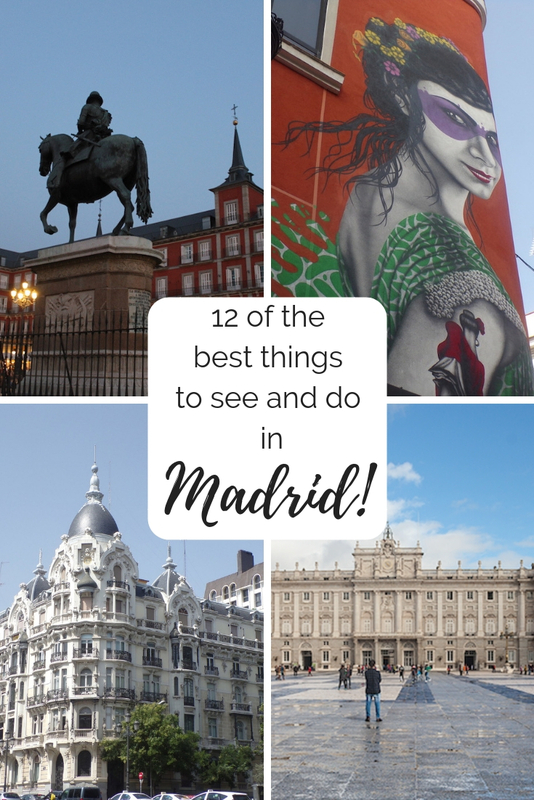 You’ll only ever be able to scratch the surface of what Madrid has to offer in one trip, but to get a good feel for the city we put together our top 12 recommendations for visitors. We managed to squeeze most of these in during our first three-day visit to the city, and when we return (and we will!) we’ll fill in the gaps and probably go back and re-do several on this list too! 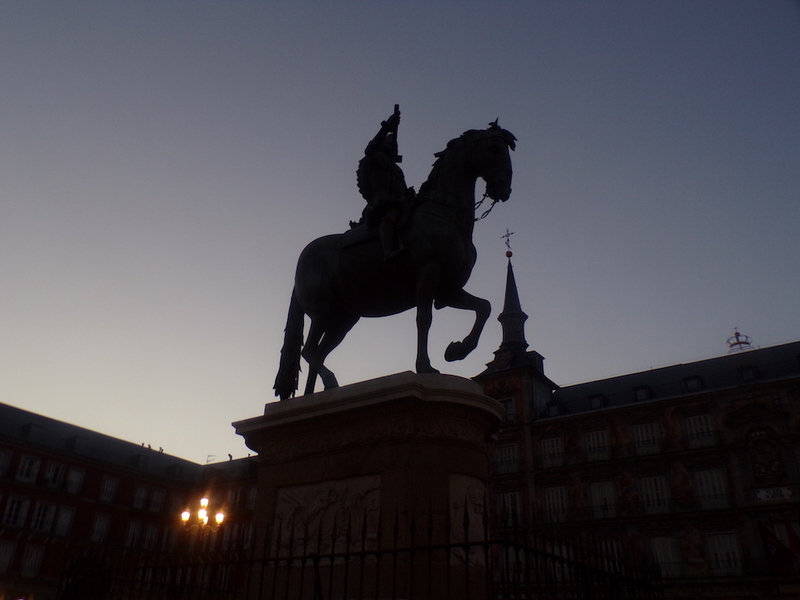 So let’s inspire you to visit Madrid – you won’t regret it! As I’ve said time and again, a walking tour is one of the best ways to introduce yourself to a new city. The majority of destinations now have free walking tours available – several of the LWT team members have gone on free walking tours in cities including Oslo, Tallinn, Reykjavik and Berlin. 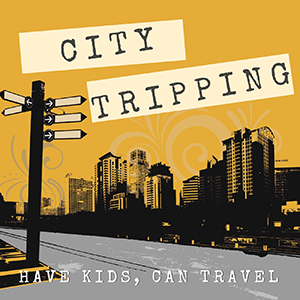 Often guides are local students looking to make some money in tips (you can choose to tip as much or as little as you feel the tour was worth as thanks to your guide) and they share amazing stories and insights into the city you’re visiting. 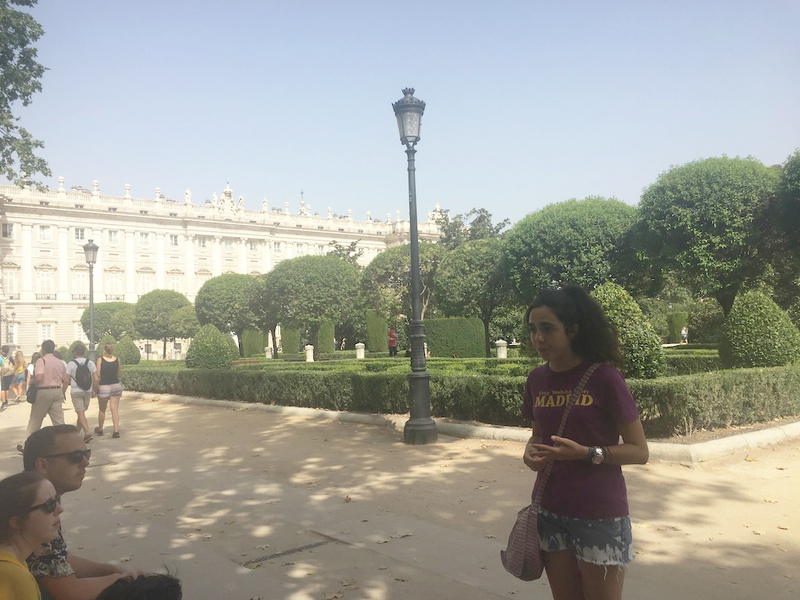 In Madrid we used Free Walking Tours Madrid, and our guide Marina was brilliant. Not only did she tell us all about the city’s history, we had fun along the way, learning some basic flamenco moves and also getting some good tapas tips. If you don’t want to do a guided tour, then why not hit the streets yourself? Just wandering through the old city’s streets and squares is a joy in itself, as the buildings, tiles and street art are all so beautiful! Wandering around the literary district was my personal favourite. 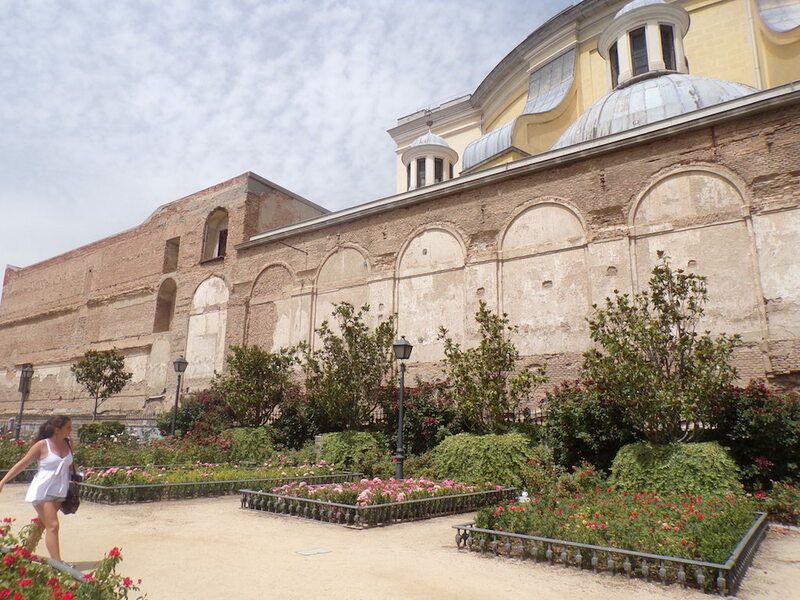 Here you’ll find beautiful buildings like the Convent of the Barefoot Trinitarians and the Teatro Español, Europe’s oldest working theatre, which has been holding shows since the 16th Century. 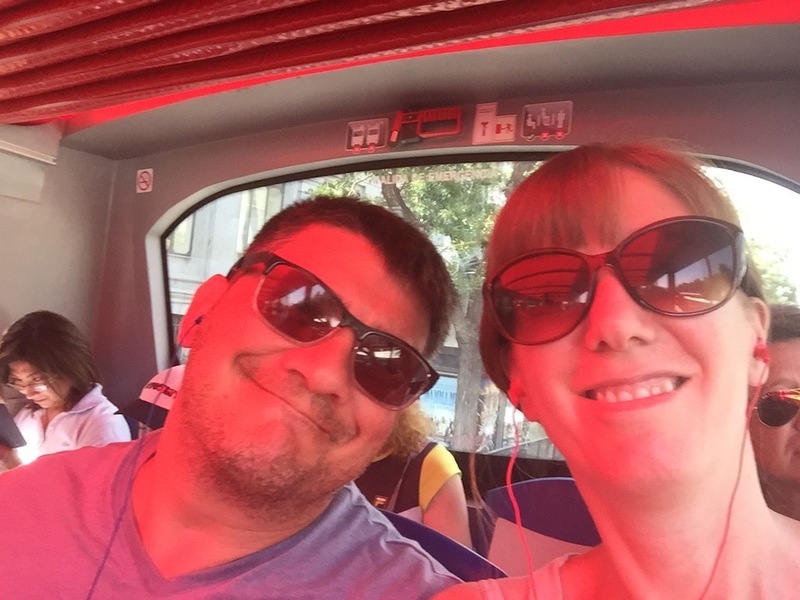 If you’d prefer a more restful tour – maybe you have ill health like me, or are crazy enough to visit in the heat of August like we did, then the Madrid City Tour bus is a good choice. Plug in your headphones to get a little info on the buildings you pass, or simply use it as a good way of getting from one attraction to another. 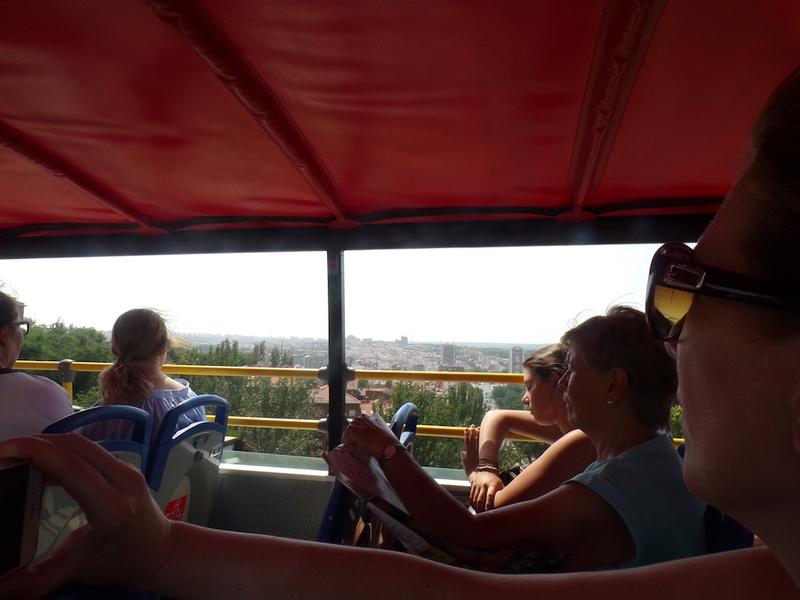 The Madrid City Tour Bus has two separate routes – the historical route, which loops around the old part of the city, and modern Madrid, which takes you further out to see the city’s newer architecture, as well as also the Bernabéu football stadium. It’s a good way to have a sit down, but don’t use it if you’re in a rush – Madrid traffic means the bus takes its time to get anywhere! At time of writing, a ticket costs €21 for an adult and €10 for a child (7-15) for one day and €25/€ for a two day pass. A one day family pass costs €54. However, if you buy your tickets online you get a discount that can save you between €1-5 per ticket. Yep, you read that right. In Cuartel de la Montana Park, just a short walk from the Royal Palace and Cathedral, stands the ancient Egyptian Temple of Debod. 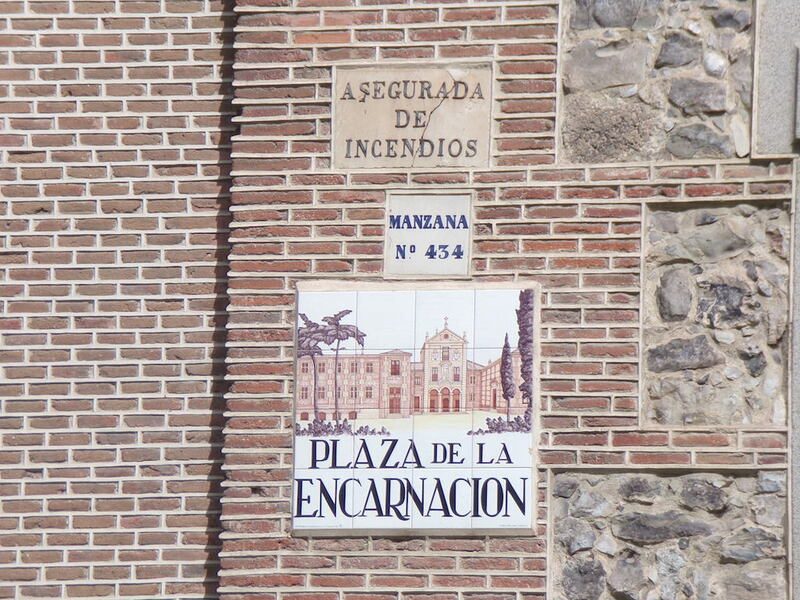 Not the kind of thing you’d expect to see in the Spanish capital, but worth a visit nonetheless. 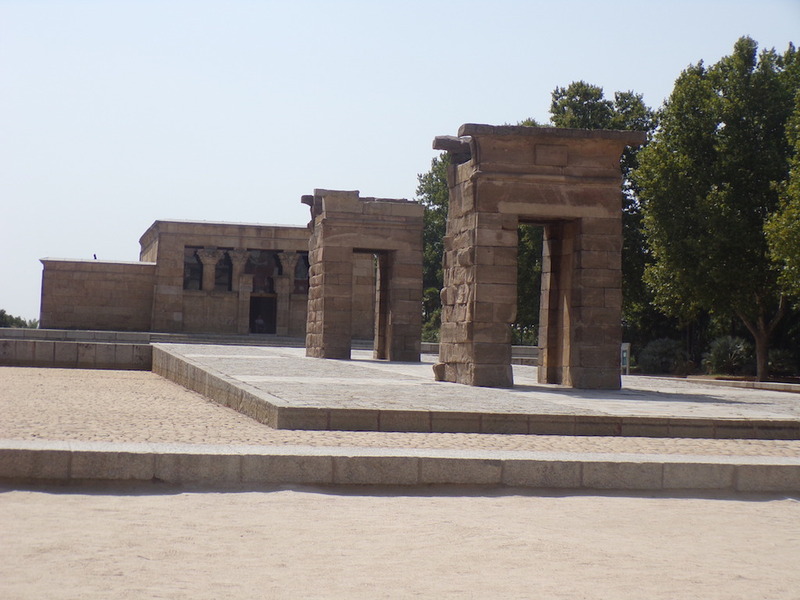 It’s actually a true Egyptian temple, dating back to 2nd century BC, and was donated to Spain in thanks for the country’s help building the Aswan Dam back in the 1960s.
. Here we discovered lots of great tips, including a recommendation to come here just before sunset as the temple is bathed in the last of the day’s light and is one of the best sunset spots in the city. 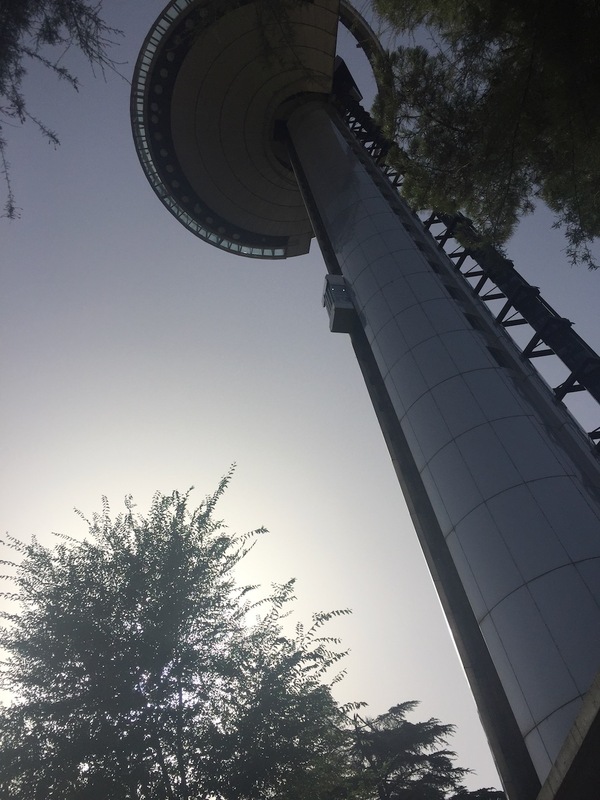 El Faro, which actually means lighthouse, is a former transmission tower built by architect Salvador Pérez Arroyo in 1992, the year Madrid was named European Capital of Culture. 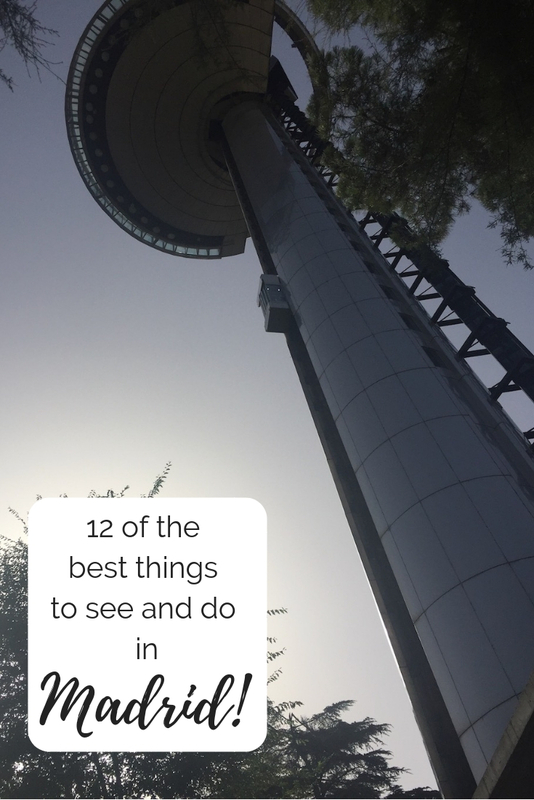 Standing 92 metres high, its observation deck looks like a flying saucer and gives some amazing views out over the city. 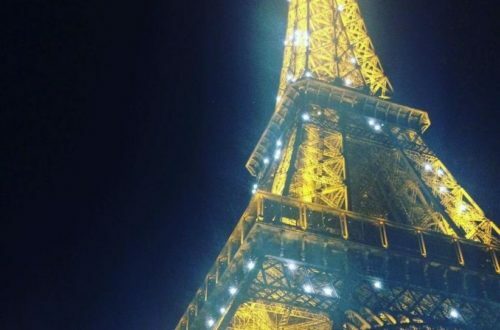 Not for the faint of heart, the journey up to the tower is in a glass lift. Make sure you stand by the doors if you want a good view on your way up or down. Embrace the Spanish way of life and dine on tapas throughout your stay in Madrid! 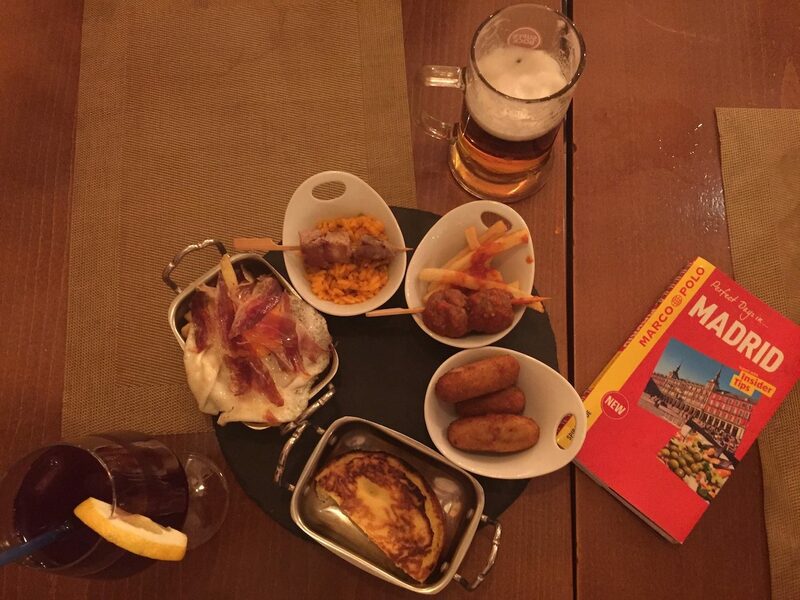 You can’t walk more than 500m without spotting a tapas bar, so do as the Spanish do and stop off for a drink and a pinxto or two before moving onto the next spot. 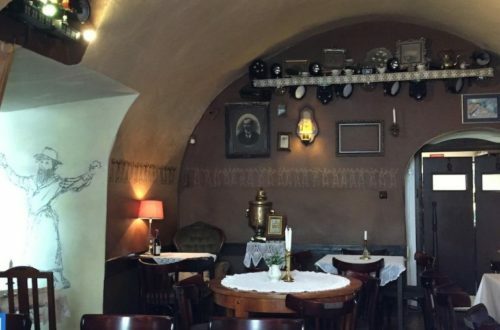 Many bars are known for their own specialities, so keep your eyes open for something that takes your fancy – or perhaps what the locals are eating! If you’re looking for tapas on the go, why not visit one of the city’s food markets? Mercado de San Miguel is one of the most popular and is a great place to ‘window’ shop even when you’re not hungry! For those with a sweet tooth, you’ll love the churrerias and chocolaterias scattered throughout the city. Dunking your delicious deep fried pastry sticks into thick, chocolate sauce is heaven! 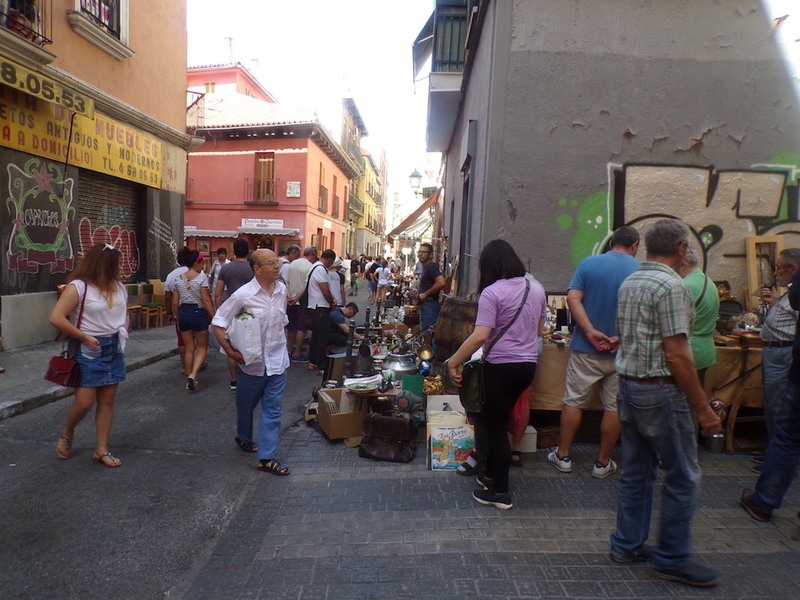 El Rastro is Madrid’s biggest flea market. 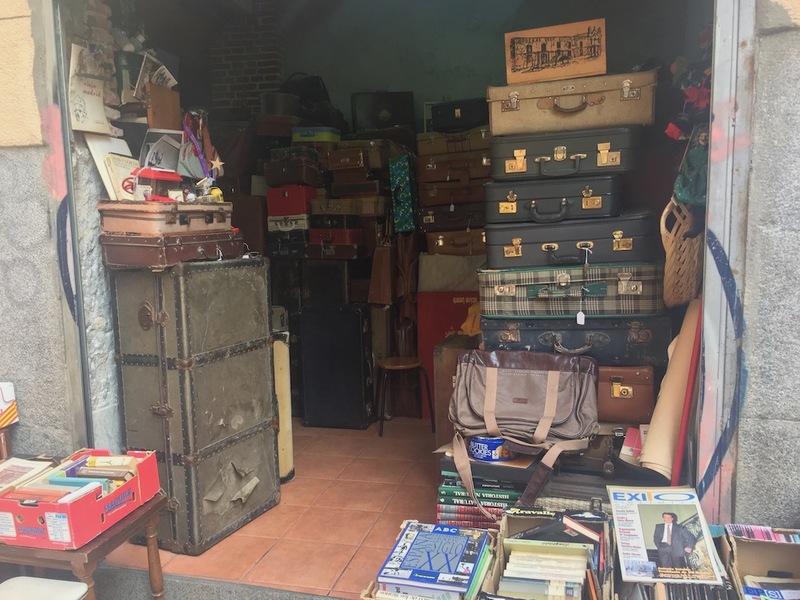 Taking place every Sunday, streets are overtaken by more than 1,000 vendors selling both new and second-hand items, from undies and tourist t-shirts through to antique coins, furniture and creepy looking dolls. It’s a great way to spend a Sunday morning, and I dare you to leave without buying something! 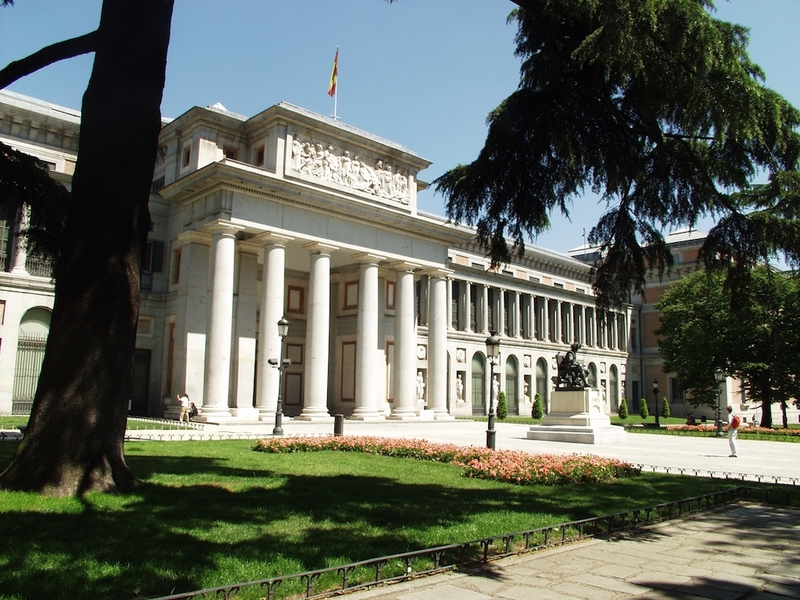 Madrid has an abundance of amazing museums to visit, from classic and contemporary art galleries through to museums on archaeology, naval history, and waxworks. There’s something for everyone and it’s well worth taking the time to at least visit one during a trip to the city. The issue is deciding which! Forget sangria, the locals go for tinto de verano, which translates to ‘summer red wine’. It’s actually very similar to sangria but simpler – its made of red wine, lemonade and sparkling water. It’s oh so drinkable, but be warned, the alcohol sneaks up on you! 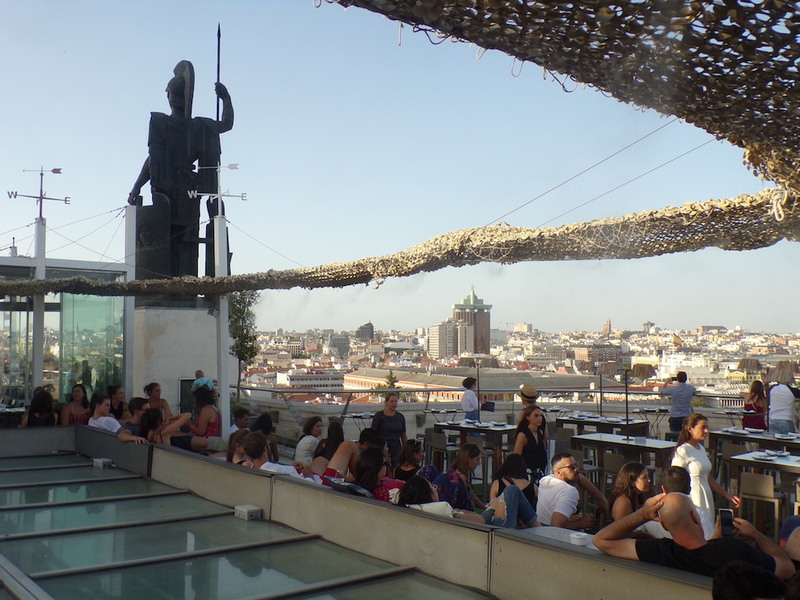 The best places to enjoy a drink in the city of Madrid, are of course, rooftop bars. It’s not a cheap option, as most charge an entry fee, a minimum spend if you want to reserve a table (with a good view) and drinks come at a premium. However, it’s really gotta be done once. Recommendations include the Terraza Cibeles on the roof of the Plaza de Ciebles and the rooftop bar at Circulo de Bellas Artes. 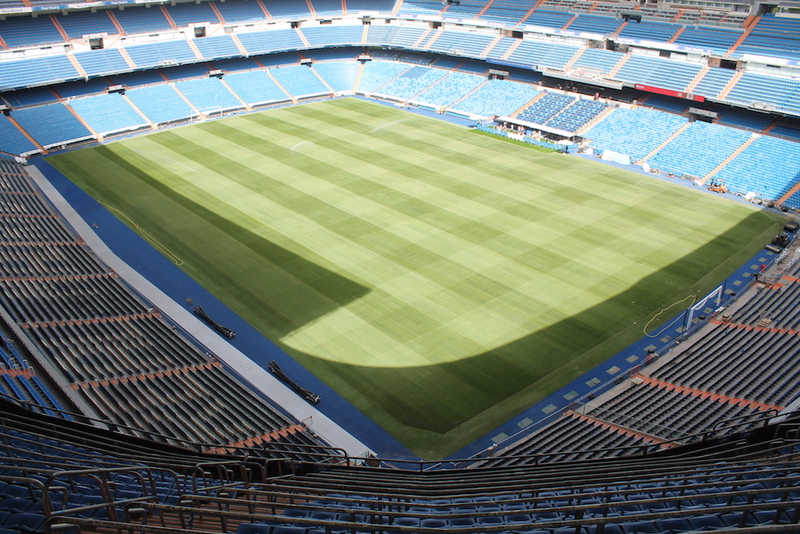 Home to football team Real Madrid, named FIFA’s best football club of the 20th century, sports fans will love touring the Santiago Bernabéu Stadium. You’re guided through the stadium, including stops at the changing rooms, press room, down to the pitch side and the very impressive trophy room. 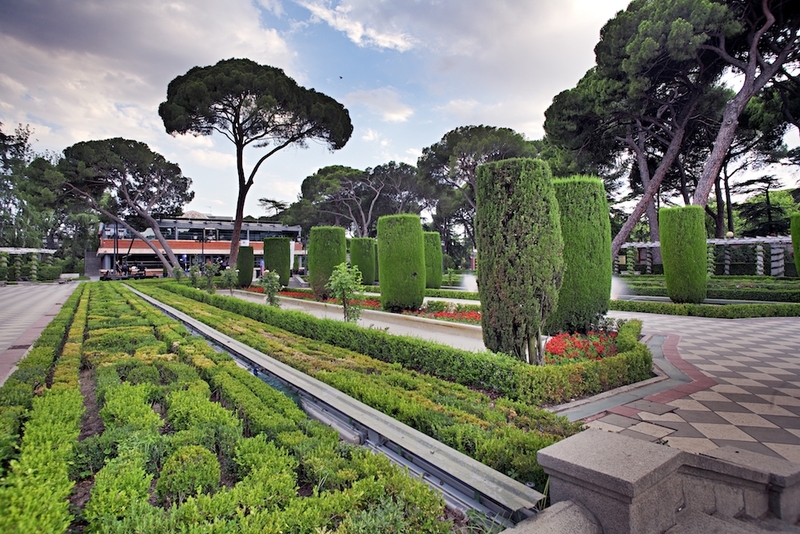 Reminding me of London’s great parks, El Retiro is a historic garden associated with the former Buen Retiro Palace. You could easily while away half a day (or more!) here as there’s so much to see. Late 19th century monuments are scattered throughout the grounds, making it an outdoor sculpture museum, then there’s the spectacular glass palace and the opportunity to take a rowboat out onto the lake. 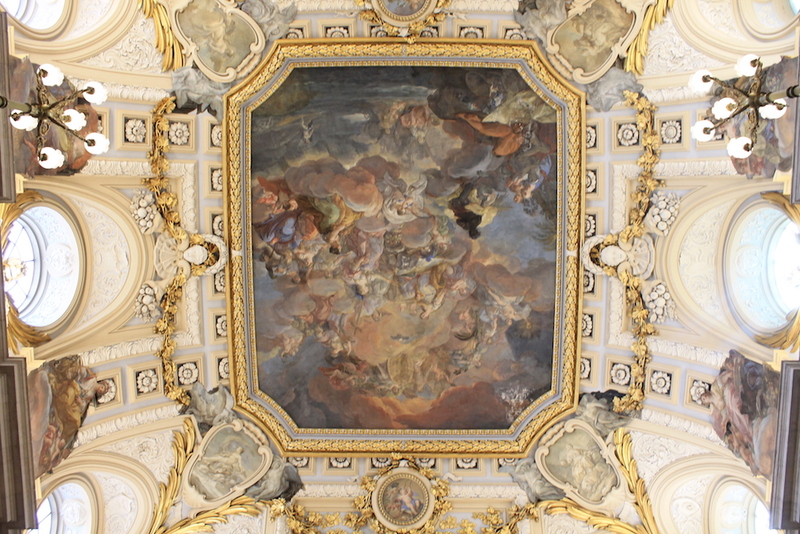 The Royal Palace may be the official residence of the King of Spain, but it’s only used by the royals for state ceremonies – the rest of the time the palace is a museum open to the public. If you’re after some decadent splendour this is the place to go as room after room glitters with gold or chandeliers. There’s not much information around in English though, so if you’d like to know about what you’re looking at I recommend picking up an audio guide. 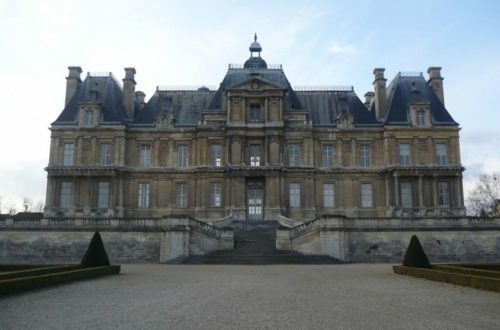 Also be warned that photos are only allowed in the first few halls and rooms of the palace. It’s not particularly clear where and when you can’t take pictures as we only saw one sign at the beginning, but guards are constantly on the look out and in most rooms we heard them shouting at tourists for attempting to take a quick shot! So there you have it – our top 12. Has this whet your appetite? 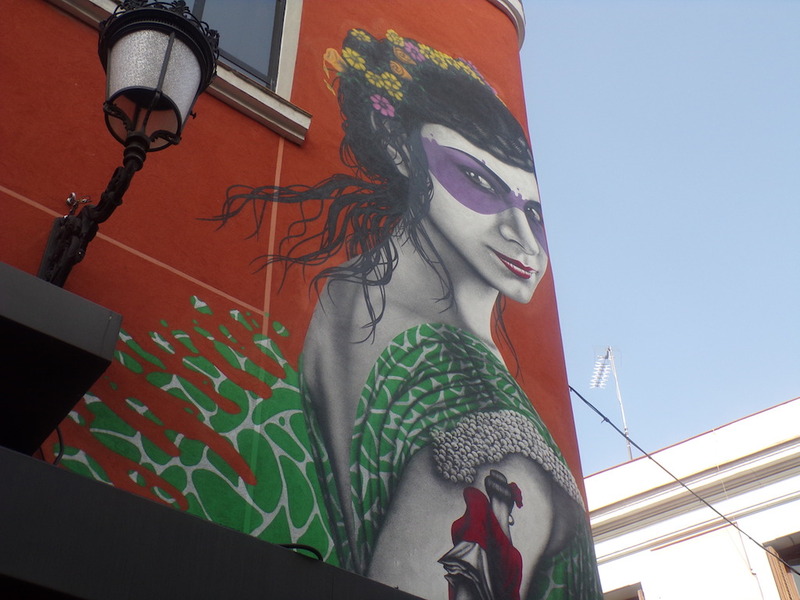 Or perhaps you’ve been to Madrid and have your own recommendations to add? Full disclosure: This post contains some affiliate links, which means that if you buy something via the link, it helps support our website (thank you!). But just to be clear – there’s absolutely no extra cost to you! Try that wine, it’s my fave thing ever! I hope you get to go soon, it’s such a great city. I’m so glad you enjoyed your trip to my city! Madrid looks amazing, I’ve never been and am desperate to visit! My boys are desperate too, but mainly for football related reasons!! 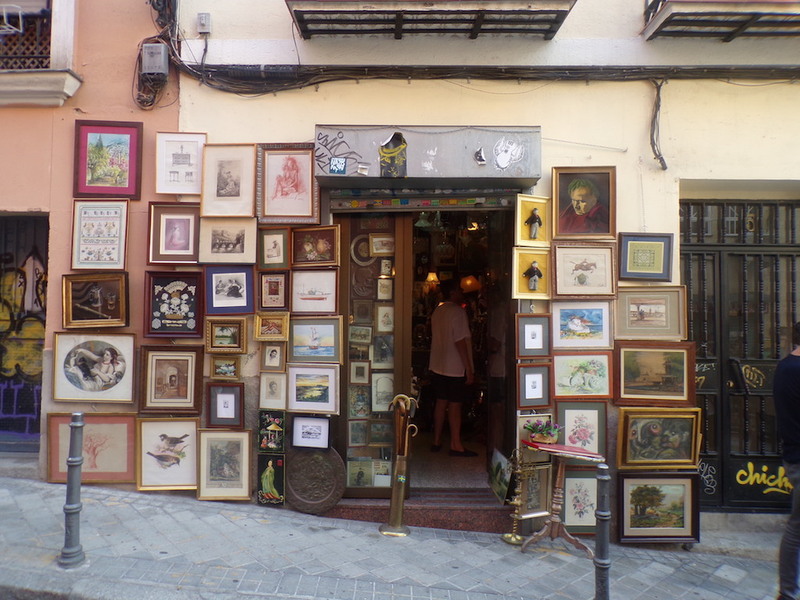 I love the sound of the Faro de Moncloa and El Rastro flea market sounds fab. Madrid’s such a great city, often overshadowed by Barcelona but very unfairly I think. Maybe it’s better – helps keep the rif raf out. Those tapas! A pleasure! Glad you liked Madrid as much as us, bet it was amazing studying there. This is a nice friendly reminder that we haven’t been back to Madrid in years. Been spending a lot of time exploring other parts of Spain but forgot how much we enjoyed our trips to Madrid. Might be time for a quick weekend trip. Thanks. my pleasure – have a great visit!